The demands of hPSC research are constantly evolving. At STEMCELL, we understand that novel applications need to be supported by cutting-edge technologies. That's why we've created the new standard for human ES and iPS cell maintenance. Based on the most widely-published medium for feeder-free hPSC maintenance, mTeSR™ Plus was designed for enhanced performance during versatile maintenance, while preserving the quality of your cell cultures. Try it in your lab to achieve improved cell growth characteristics, or use it to maintain cells on your own schedule—worry-free. How is mTeSR™ Plus different from other maintenance media? 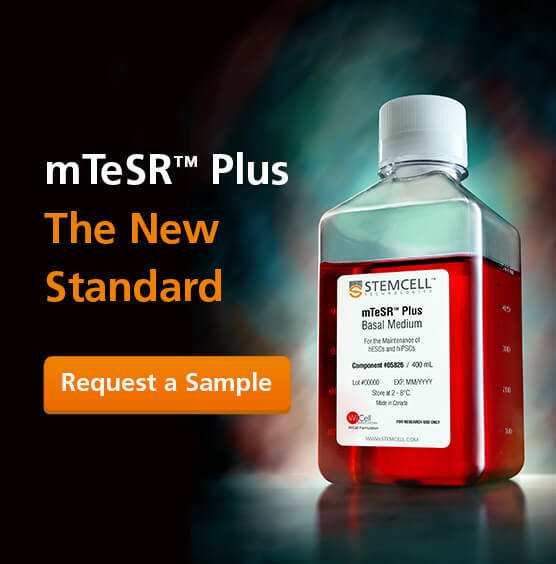 mTeSR™ Plus was designed based on the formulation of mTeSR™1. This version contains stabilized components including FGF2 and unlike other media offers enhanced buffering to reduce medium acidification so that cell quality is preserved during skipped media changes. Can I skip weekends with mTeSR™ Plus? Absolutely! The stabilized formula means that cells can be sustained for up to two days without media changes without affecting cell quality. Follow two golden rules for reduced feeding, and the rest is up to you. 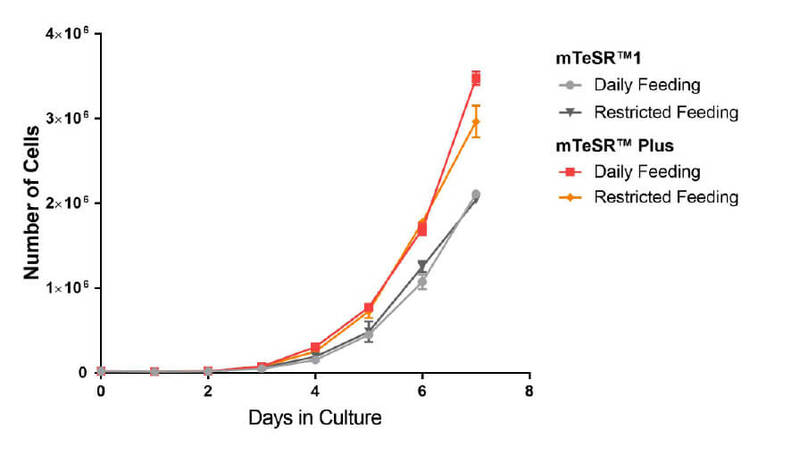 Of course, if you prefer to feed your cells daily, mTeSR™ Plus will still support high-quality cultures with rapid growth. 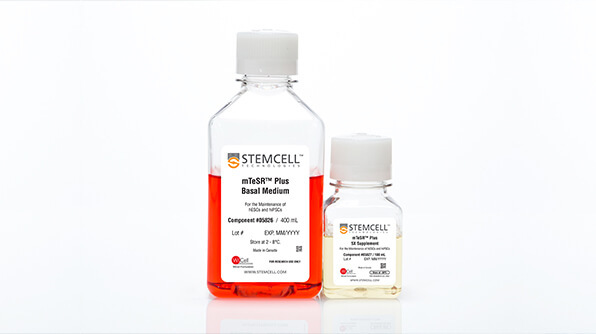 This medium has undergone successful beta testing with several members of the Stem Cell COREdinates group and has completed rigorous in-house validation testing. 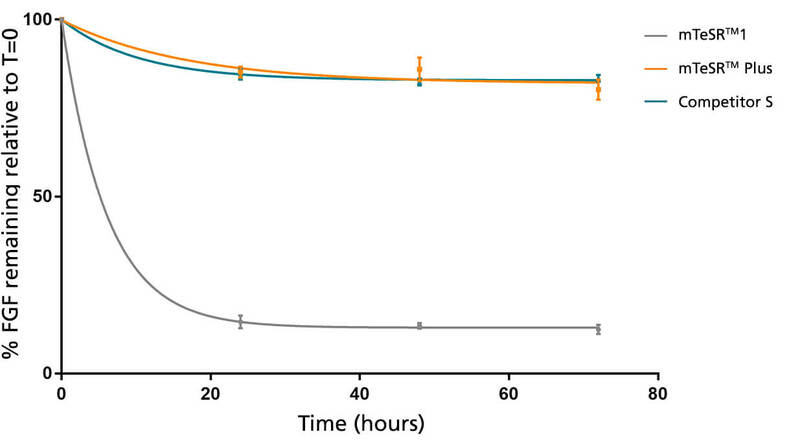 In tests comparing competitor medium, mTeSR™ Plus was shown to perform as well or better for stability, expansion, and downstream differentiation potential of cultured cells. Is it easy to transition to mTeSR™ Plus? Yes. 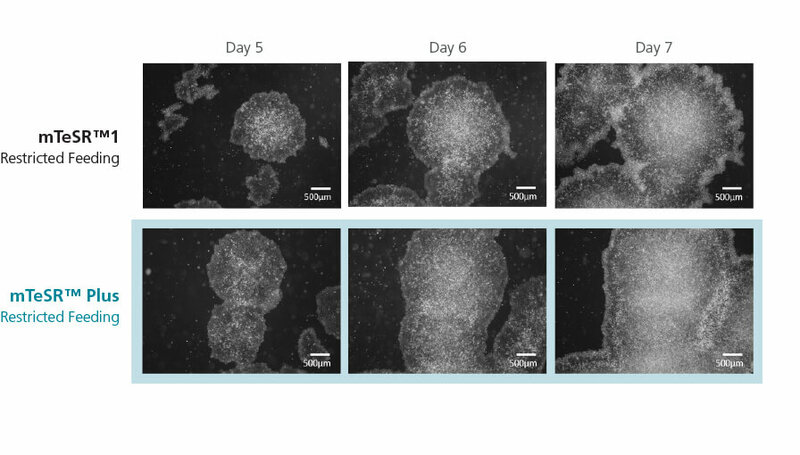 Cells cultured in feeder-free media can be conveniently transitioned without any adaptation step. Often, an enhanced growth rate is observed immediately, resulting in larger colonies and a higher confluency, sooner after passaging. 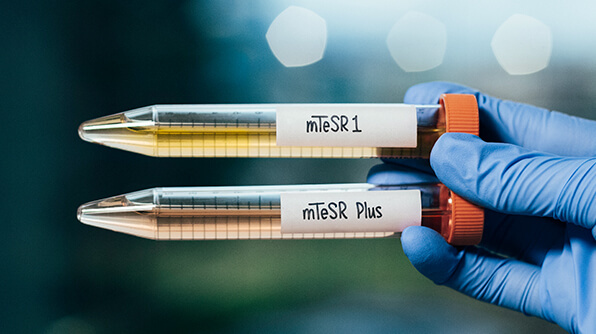 The more you learn about mTeSR™ Plus, the more you will appreciate the science behind the medium. But don't just take our word for it, try it for yourself. Contact us anytime if you have questions about mTeSR™ Plus, or download a copy of the information booklet to see more data and frequently asked questions.